We provide Board-certified, comprehensive treatment for athletes and active individuals, including children, adolescents, adults, and seniors. Sports injury and musculoskeletal services. Sprains, strains, and overuse injuries occur to almost every athlete. A sprain is when a ligament (tissue that connect bones together) is stretched or torn. 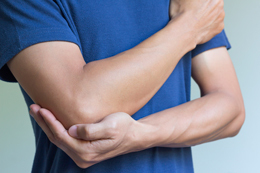 A strain is when a tendon (tissue that connects muscle to bone) is stretched or torn. These types of injuries typically occur after an injury such as rolling your ankle or falling down. Overuse injuries can occur over time after repetitive movements that cause trauma to a tendon or bone. These movements may occur during sport or movements that are part of your every day life. The Longs Peaks Sports Physicians are trained to accurately diagnose these injuries so that we can get you back to activity as quickly and safely as possible. As fellow athletes we understand the importance and desire to return to play as soon as possible. After diagnosis we will work with you through your recovery process and back to the field while being sensitive to your needs and desires. Read this PDF at the National Institutes of Health for more information. Sports or musculoskeletal ultrasound is offered by all of the Longs Peak Sports Medicine Physicians. 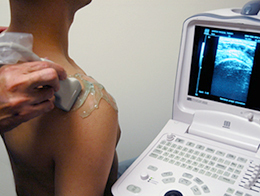 The use of diagnostic and interventional musculoskeletal ultrasound (MSK US) in sports medicine has increased over the past several decades for a variety of reasons including decreased equipment costs, increased educational opportunities, expanded research, patient safety initiatives, and technological advances leading to higher resolution images. Ultrasound can be used to diagnose disorders of bone, joints, tendons, muscles, ligaments, blood vessels and nerves as well as guide interventions such as aspirations, diagnostic or therapeutic injections, tendon procedures, tissue and nerve releases, and biopsies. Performed at the bedside in our exam rooms, patients appreciate being able to participate in and observe their injuries “real time” on the screen! Longs Peak Sports Medicine embraces the highest quality and standards and is an AIUM certified practice. Low back pain occurs in almost 80% of Americans at some point in their lifetime making it one of the most common musculoskeletal conditions. 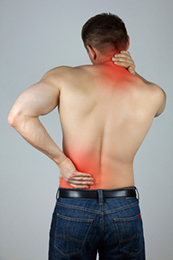 Your back pain may be the result of a specific injury or it may occur over time. While there are some cases of back pain that need surgical/invasive intervention the vast majority of back pain can be treated noninvasively. Causes of low back pain include osteoarthritis, a bulging disc, a pinched nerve, or weak muscles that surround and support the back. We at Longs Peak Sports Medicine specialize in diagnosing the cause of your low back pain and will provide you the treatment, proper exercises and rehabilitation to return you to activity. While low back pain is very common in adults, it is uncommon in the pediatric population. A Sports Medicine Physician should evaluate a pediatric patient with back pain longer than 2 weeks. Two causes of pediatric back pain are spondylolysis or spondylolisthesis. Spondylolysis occurs when there is a defect in a portion of the lower vertebrae in the back. This defect is caused due to repetitive motions in sports. Spondylolisthesis occurs when a vertebrae slips forward on the one below it. Dr. Madden, Myers, and Traister are trained to diagnose and treat both of these conditions allowing athletes to get back to sport and activity as quickly and safely as possible. For more information, read these PDFs from the National Institutes of Health and University of Maryland Medical Center. Arthritis occurs when there is inflammation in a joint. While osteoarthritis is the most common form of arthritis there are other forms of arthritis that are caused when the body’s immune system does not work properly. Osteoarthritis occurs when joints start to wear down. This wearing down can occur over time or due to an injury. Some people may be more likely to get osteoarthritis if there is a family history of it. While osteoarthritis can be a frustrating condition there are several treatment options that Longs Peak Sports Medicine offers. The best way to treat arthritis is to maintain a healthy and active lifestyle. These things will help keep your weight down which means less pressure on your joints. A regular exercise program keeps the muscles supporting your joints strong. Other treatment options include bracing and injections. We at Longs Peak will help you decide which treatment options are best for you. For more information, visit this site at the National Institutes of Health. Neck pain is one of the most common ailments that affects people today. Like back pain, which was discussed above, neck pain is caused by a variety of reasons. Some of these causes include trauma, osteoarthritis, a pinched nerve, and muscle spasms. Neck pain can be very debilitating and affect your sleep, driving, and of course physical activity. The first step to getting rid of your neck pain is determining what is causing the pain, i.e. arthritis, muscle spasms, poor posture, etc. Once the physicians at Longs Peak Sports Medicine determine the cause of the pain they have a variety of treatment options to help control the pain. They will then provide stretches, exercises and rehab to help maintain the health of your neck. Do not let chronic medical conditions such as high blood pressure and diabetes keep you from enjoying exercise or doing the activities that you love. The physicians at Longs Peak Sports Medicine are also board certified in Family Medicine. This combination allows us to comprehensively treat your sports medicine issues in the setting of your chronic medical conditions. 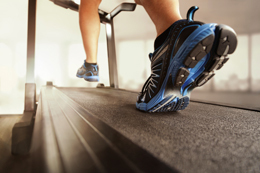 Most times, exercise and activity are very beneficial for chronic diseases. We at Longs Peak Sports Medicine will help guide you in maximizing your activity in a safe way in the setting of your chronic medical condition. Participating in athletics helps children and teens learn dedication, teamwork, and build self-confidence. To ensure their safe participation the Longs Peak Sports Medicine physicians perform pre-participation exams and review preventive medicine with children and adolescents. 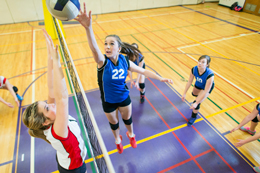 The Colorado High School Activities Association requires medical clearance for high school athletes and each school has a preparticipation physical form that needs to be completed prior to participation. Please bring these forms with you to the appointment and we will be happy to review each athlete’s past medical history and discuss sports injury prevention. You may also download a preparticipation physical form here prior to your appointment. (link to PPE form). The Longs Peak Sports Medicine Physicians are trained in concussion diagnosis and management. 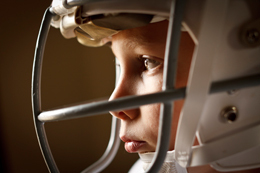 Senate bill 40, otherwise known as the Jake Snakenberg Youth Concussion Act, was signed into law in March 2011 which requires all coaches of athletes ages 11-18 in the state of Colorado to complete annual concussion recognition education. The Longs Peak Sports Medicine Physicians provide this annual education to the St. Vrain School district coaches and trainers to prevent life-ending and life-altering brain injuries in our youth athletes. Once an athlete sustains a concussion we work with the athlete, parents, trainers, coaches, and school to ensure safe integration back into school and their sport. We offer computer neuropsychological testing to athlete’s 12 and older. We use AXON Sports neuropsychological computer testing to evaluate the athlete’s processing speed, attention, learning, working memory speed and accuracy to help with return to sport decision making. We also encourage athlete’s who participate in contact sports or who have sustained a prior concussion to obtain computer neuropsychological testing at their preparticipation physical (link to preparticipation physicals) in order to have an athlete-specific baseline prior to a concussion or a subsequent concussion. In addition, we are able to integrate our family medicine education with our sports medicine education to care for any aged individual with a concussion and integrate them back into their school, work, and family environment. Embracing a sustainable, healthy lifestyle is the most important thing you can do to preserve your health! Regular physical activity combined with a healthy diet helps improve your overall health and fitness, and reduces your risk for many chronic diseases. The physicians at Longs Peak Sports Medicine embrace the concept of a healthy lifestyle and are here to help you achieve your goals, ranging from a few pounds of weight loss or starting a walking program to completing an ultra-endurance marathon. We provide lifestyle, exercise, and nutrition counseling, and we have combined forces with a skilled nutritionist, Kelly Leonard, RD, who approaches nutrition counseling based on the latest scientific research coupled with a personalized approach in addressing the unique needs of each individual. Don’t wait a minute longer to take steps to improve your health before you develop disease or to take your health back if you have developed problems – call us today! Orthotics are foot and arch supports that can help you with foot, ankle, knee, hip and back problems. At Longs Peak Sports Medicine we partner with the pedorthotists at Resource Labs to produce top quality, custom orthotics for your individual needs. Your Longs Peak physicians perform custom molds of your feet in the office then send the mold to Resource Labs for fabrication, varying materials and build based on goals and needs. Some people who are active in sports may find that custom orthotics help to increase endurance, strength and performance abilities. Individuals who are overweight may find that orthotics relieve the additional stress of extra weight off the ligaments in their feet and legs. The use of orthotics can help some people to avoid or prolong having surgery. Individuals who may benefit from foot orthotics include people who stand or walk on hard surfaces for considerable amounts of time each day, who participate regularly in high-impact sports, have had previous foot, leg, or back injuries, or experience joint pain when walking, running, or standing. Longs Peak Sports Medicine physicians are also well-versed in various types of footwear that may benefit you, with or without orthotics. Not everyone needs orthotics or support, and this is a very important consideration that many professionals who manufacture orthotics never entertain. For example, some runners may perform best in barefoot type shoes, others in a rocker-type shoe, while others may need additional support from an orthotic combined with stabilizing footwear. This realm is as much of an art as it is a science, and you should have confidence that we will work with you to find the best solution for your personalized needs. Dr. Madden is an avid mountain biker who loves all types of cycling, and his partners are also experienced in treating cycling injuries. Dr. Madden has also worked on and built bikes since he was a teenager, and he knows the technical and mechanical side of mountain biking almost as much as the medical. Practicing in Boulder County, where all types of cyclists reign supreme, provides us all with many opportunities and challenges involving cycling injuries and fit issues. Whether from a crash, overtraining, a previous injury or disease, or poor bike fit, injury is part of the cycling sport. The types of injuries in cycling involve: acute traumatic; chronic, overuse; and environment or disease-related. We specialize in being able to identify cycling injury patterns and their causes. Cyclists can do many things to prevent injuries, including proper bike fit, gear, training, and planning. Longs Peak physicians can work with you before you experience an injury so you won’t lose time on the bike. Dr. Madden also works with cyclists who need a bike fit, especially those with specific medical needs, problem, or pain. If you have pain or a medical problem having to do with cycling or your bike, insurance companies usually pay for your visits. If you need a bike fit, please let our front office know so they can schedule you for enough time. Please bring your bike, bike shoes, and bike shorts in to the appointment. We have a trainer, leveler, goniometer, laser, and other equipment needed to help you with your fit from there. If you need help with your bike or in accomplishing your cycling goals, please don’t hesitate to call us. Running in Boulder County is almost like breathing to live, or shall we say living to breathe. Almost all runners have experienced an injury in their lives, and many runners, especially long and ultra-distance, run with an injury most of the time. 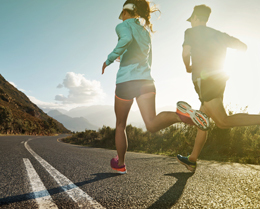 Whether you have experienced an injury or are trying to prevent one, our Longs Peak Sports Medicine physicians have considerable experience with running injuries and can help you. All of our physicians are runners, ranging from recreational and fitness to distance and trail, our physicians practice what they preach. We understand the unique needs of runners (mentally and physically) and the ongoing “best shoe” paradigm, whether it be the barefoots, pronation stabilizers, supports and cushions, rockers, or otherwise. We keep up with the technology. Sometimes we put you on the treadmill and watch you run, sometimes we send you to the track down the block to run and reproduce your symptoms, sometimes we simply watch you walk down the hall to observe your gait mechanics, and sometimes we take you to the back lot and observe real-time running and agility drills – no one approach works for all. We also build custom orthotics (link to our orthotics page) if you need them. The easy part is building the orthotic, the difficult part is figuring out whether you actually need one – something many orthotics professionals fail to consider in an unbiased manner. Please don’t hesitate to call us with your running needs anytime. Mountains, adventure, and wilderness are to Colorado like what honey is to bees. Many of us love to head into the mountains and wilderness for great adventures, and many of us take our sports with us! Staying safe in challenging, unpredictable, and altitude environments is profoundly important, whether it is to complete an event or goal or to save a life. 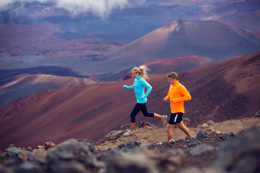 Longs Peak Sports physicians are well-versed in environmental and altitude illness and prevention. 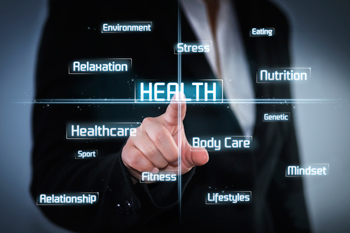 Prevention starts with proper planning, training, and knowing your individualized physiology and medical conditions. Our physicians bring a variety of experiences to the table in this realm – ultra-endurance altitude races, climbing and mountaineering, backcountry skiing, event coverage, individualized counseling, various publications and lectures, and ski clinic coverage. 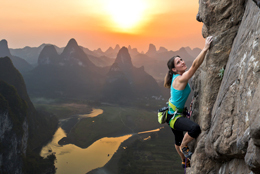 Whether we can educate you in how to properly acclimatize to altitude or heat, to plan your fluid and calorie needs for an ultra-endurance race, to structure your training to accomplish summiting a peak, to assess your medical safety of participating, to manage an illness or disease in an austere environment, or to prescribe medications for altitude illness prevention and treatment, please reach out if we can help you, preferably before you face an unintentional challenge or problem! 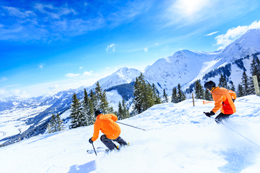 Colorado offers fantastic skiing and snowboarding! Dr. Traister enjoys skiing and Dr. Madden and Myers enjoy snowboarding. Unfortunately, acute and chronic injuries are common while participating in these sports. The Longs Peak Sports Medicine physicians are able to evaluate, diagnose, and treat these injuries whether you need a follow-up appointment from an ED or Urgent Care Facility in the mountains or to evaluate aches and pains that are not improving once you return from your ski trip. We know how important and freeing it is to catch powder and will work hard to get you back on the slopes safely. Fracture management is a key part of sports medicine training. Your Longs Peak Sports Medicine physicians are able to diagnose and manage fractures from your pinky bone to your tailbone. We can order and review x-rays and sometimes other imaging such as CT scans to help you manage your fracture. 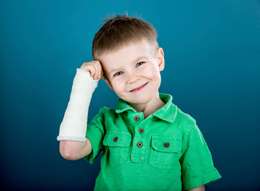 We fabricate splints and apply casts in our office. Depending on the bone and complexity of the fracture you may need several follow-up x-rays, splints, and casts; all of which we can coordinate and apply to get you safely back to an active and healthy lifestyle. Proper rehab is crucial to any sports injury. Not only is it important for returning to play as quickly as possible, the proper rehab can reduce future injuries. Your Longs Peak Sports Medicine physicians will help guide you with the proper exercises and stretches for any injury. We also utilize dry needling, soft tissue mobilization, and other modalities to help aid you during your rehab. 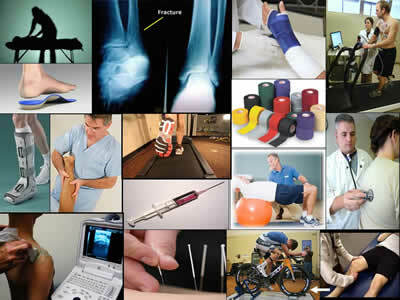 If a more in depth rehab is required we can refer you to the physical therapist that best suits your needs. Sports injuries are unexpected and frustrating. The Longs Peak Sports Physicians are athletes who have been injured and had to miss big games, tournaments, and physical activity when our body and mind needed it the most. We are aware of and sensitive to the complexities of being injured and safely returning to physical activity. Return to play decision-making blends the art and science of sports medicine. We prescribe and demonstrate rehab exercises (link to rehab section) and also work closely with physical therapists, chiropractors, massage therapists, trainers, and coaches. 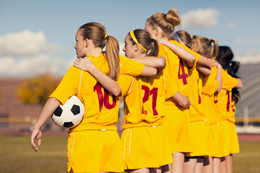 We will work with you to individualize a plan to ensure efficient, safe return to play. Certain musculoskeletal injuries require joint and soft tissue injections. The Longs Peak Sports Physicians are trained to give these injections. Many injections are performed with ultrasound guidance to assure that the injection is in the correct location for diagnostic and therapeutic purposes. We will guide your activity following an injection with the goal of providing pain relief and improved function. We perform injections with local anesthetics, corticosteroids which provide anti-inflammatory properties, hyaluronic acid which provide joint preserving properties, whole blood or platelet-rich plasma which provide healing properties and sometimes inject a combination of the above depending on your specific injury. Your Longs Peak Sports Medicine Physicians (Madden, Myers, and Traister) are trained to utilize platelet-rich plasma injection (PRP) when it is indicated. We may offer this procedure if you have tried a variety of treatment approaches for tendon or ligament injuries, nothing has really worked, and your next step would be possible surgery. What is PRP? PRP stands for platelet rich plasma injection. Human blood has a number of hematological components including red blood cells, white blood cells, serum and platelets. Platelets are very important for clot formation. They stick to each other and form a blood clot. Medical research has found that platelets also contain a number of chemicals and proteins that are involved in wound healing. When platelets are activated they release these components collectively called "growth factors." When blood cells are separated from blood, the resulting fluid is called plasma. Processing of plasma can concentrate the platelets and their corresponding growth factors. This concentrated solution is then mixed with a buffer and anticoagulant and injected into the injured tissue to promote healing. In essence, the doctor concentrates the patient's own healing factors and then injects them back into the injured area. This approach is very different from using anti-inflammatory medications and steroid injections which decrease inflammation and the healing response. Is PRP new? The technology has been used for years in surgical applications and wound care. The use of PRP for musculoskeletal injuries is fairly new and evolving into a promising treatment for both acute and chronic injuries. There are a number of medical studies supporting the use of PRP for tendon and ligament injuries, but research is conflicting and more studies are needed. Do I have to worry about the use of blood products? The patient's own blood is used for the procedure so there is no transfusion risks. 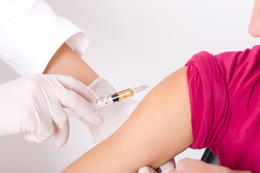 As with all injections including vaccines, there is always a small risk of infection where the needle enters the skin. The PRP is derived from the patient so there is no risk of a blood borne infection from a donor. How long does it take? Generally, a PRP injection requires an initial visit to see if the patient's injury would benefit from the injection, then a follow up visit for the injection itself. The actual injection process takes about 30 minutes. The majority of the time involves drawing and processing the patient's blood for the injection. The patient is then seen at 6 weeks to 3 months, depending on the injury being treated. It can take 2-4 injections to heal tissue and resolve symptoms. What does the patient have to do prior to the procedure? Once the diagnosis is made and the PRP injection is scheduled, the patient should avoid all anti-inflammatory medications for 7 days prior to procedure. This includes prescription anti-inflammatory medications as well as over the counter naproxen, aspirin, and ibuprofen. Cardiac patients should continue taking aspirin. What can I expect during and after the procedure? 30-60 cc’s of blood will be drawn from an accessible vein. The blood is then mixed with an anti-coagulant and placed into a machine with a special separator tube that spins the blood and separates the components into blood cells, serum, and the platelet rich plasma. During the separation process, the patient's injured area is numbed with a local anesthetic. After the platelets are concentrated, they are extracted into a separate syringe and mixed with sodium bicarbonate. The mixture is then injected into the injured area. This requires a great deal of skill and usually ultrasound guidance. After the procedure, the patient will experience some mild soreness in the treated area that peaks at 3 days post procedure. Analgesic medication is prescribed and the patient is instructed to avoid all anti-inflammatory medications. Most patients describe mild soreness that resolves with Tylenol. Ice and heat are avoided. Please call us if you have questions regarding PRP and we can discuss if you are a candidate for this procedure. 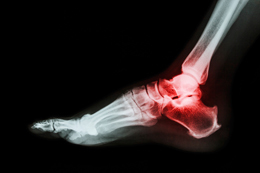 Chronic tendon pain can be a very debilitating and frustrating problem. Common sites for chronic tendon pain include shoulders, elbows, knee (patellar tendon), IT band, achilles and plantar fascia. The pain may keep you from doing the sports and exercises that you love to do or it may keep you from doing your daily activities. If you have failed conservative treatment such as bracing, physical therapy, taping, resting, or injections then theTenex procedure may be for you. This minimal invasive outpatient procedure reduces pain and helps restore function so that you can get back to doing the things that you love. Dr. Traister learned the Tenex procedure while doing his Sports Medicine Fellowship at Notre Dame. Come in for a consult today where Dr. Traister will do a thorough history, physical and diagnostic ultrasound to determine if you are a candidate. For more information, visit Tenex Health. Dr. Myers and Traister perform compartment pressure testing on upper and lower extremities. 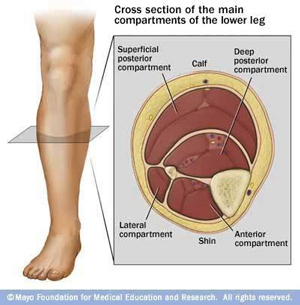 Exertional compartment syndrome is a condition that affects muscles during physical activity. Muscles in our extremities are arranged in compartments and individuals may develop increased pressure in one or multiple compartments causing pain during physical activity. We use an ultrasound to mark each compartment that needs to be tested. A special measuring device with a needle attached is used to measure pressures within each compartment. Compartment pressures are measured at rest and after exercise to evaluate if you have this condition. Watch a video of compartment pressure testing for more information. Your Longs Peak Sports Medicine physicians are trained in analyzing your movement patterns and gait as part of injury prevention, assessment, and treatment. Gait analysis is about your individualized, unique way of moving, whether walking or running. All movement patterns are not dysfunctional, even if they are uneven or asymmetrical! Some can cause problems and some are the result of other problems. If you do have underlying dysfunctional movement patterns that are contributing or predispose you to injuries or other problems, addressing them early is important. Gait analysis goes far beyond an untrained eye watching you jog in a pair of sneakers – it involves listening to your story, trying to figure out the problems you are having, performing a good quality physical exam, and often observing you in action walking, running or doing agility in the back lot, running on the track down the block to reproduce your symptoms, or running on our treadmill. Although we can film you during all of these activities, the reality is that filming and gait motion analysis software is rarely needed to solve the most common gait or movement dysfunctions, figure out their causes, or the problems they are causing. If you think you are experiencing a gait or movement problem or that dysfunctional mechanics or movements may be contributing to an injury, please call to make an appointment. Please be sure to bring the shoes and equipment that may be contributing to your problems to your appointment. Longs Peak Sports Medicine has its own Doctor of Osteopathic Medicine in house! Although most of the sports medicine physicians are trained in a variety of basic osteopathic and manual therapy techniques, Colleen McGee, DO (starts July 13, 2016) commands a greater breadth and depth of experience in osteopathy, which can help you with your health, sports medicine, or pain needs. DOs receive extra training in the musculoskeletal system—your body's interconnected system of nerves, muscles and bones that makes up two-thirds of your body mass. This training provides osteopathic physicians with a better understanding of how an illness or injury in one part of your body can affect other parts. Osteopathic manipulative treatment (OMT) is incorporated into the training and practice of osteopathic physicians. With OMT, osteopathic physicians use their hands to diagnose illness and injury and to encourage your body's natural tendency toward good health. For more information please visit the American Osteopathic Association. We perform needling and injections for trigger points in muscles. Trigger points are painful areas in muscle that often feel firm or tense with pressure, and they can refer pain to other areas of the body. Part of treating trigger points and pain is identifying an underlying cause such as poor posture, arthritis, a previous injury, or other chronic disease. 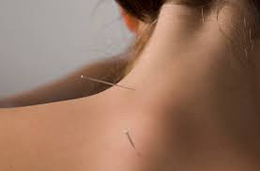 In addition to needling, which helps break up an unhealthy reflex arc between the trigger point and the spinal cord, our physicians sometimes use other techniques such as stretching the fascia (tissue layers surround muscles), stretching, and cold spray. If you have trigger points or pain in certain areas that is interfering with your life, function, and goals, please give us a call!